Construction Scheduling. How do we, as Schedule Consultants, Best Serve the Client? As I start working with new clients, I seek to understand how I can best help them? What do they expect to gain from me? I know they want a project schedule developed and approved for use on the project. That’s only part of it……. A large part of what we do, as a planning and scheduling professional consultant, is add to our clients’ knowledge base. We teach the importance of using schedule best practices, ways to better manage and use the schedule, and how to better understand what the schedule update is telling us. I believe that we, as planning and scheduling professional consultants, should also improve the clients’ understanding of scheduling in general. We should improve the clients’ ability to deliver the project. We should help the client understand better how the project schedule integrates with their cost and resource management. Do most of your clients already integrate their project schedules with their resource and cost control practice? Do they only need your expertise with the software and schedule techniques? Or, do you sometimes find your efforts resisted due to your clients’ lack of schedule knowledge or project management maturity? If so, how? And how do you deal with that? Do you often feel pressured to develop the schedule based completely on best case scenarios? If so, how do you deal with that? What client management techniques have you developed to better manage and help your clients with their schedule development and management? 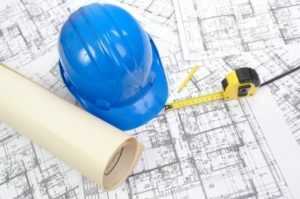 Author P. EppersonPosted on June 28, 2016 Categories Scheduling ConsultantTags Construction Project Scheduling, Construction Scheduling Services, CPM Schedule Consultant, Scheduling ConsultantLeave a comment on Construction Scheduling. How do we, as Schedule Consultants, Best Serve the Client? Construction Scheduling. Time Extensions and Delays. How do we best work through these with less mature Project Teams? All projects run into change orders with time extensions and just plain old delay claims. But, how do we manage these on smaller projects with teams that are not well versed in CPM schedule methodology and analysis? Typically, these projects manage change order time extensions or delays by marking off days on a calendar or looking at daily reports for days worked and deciding that if the contractor worked, he must not have been delayed…..
Part of what we do, as a planning and scheduling professional consultant, is to help the contractor support their case for a time extension for additional work, if it drives the longest path. 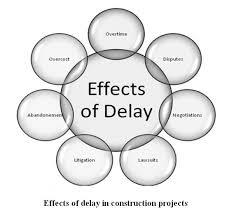 We also help the owner defend against frivolous time extension requests or delay claims. If the change order or the delay impacted the longest path, we need to quantify the impact to the completion date. But, even if the impact does not push the completion date, there is still an impact to the sequencing of work, delivery of materials, efficiency of work resources, and the consuming of total float from the near critical paths. I believe that we, as planning and scheduling professional consultants, should strive to improve the clients’ understanding of change order insertion into the schedule and the analysis of the impact. We should improve the clients’ ability substantiate their impact or defend against the unsubstantiated claims. Sometimes this means telling our clients that there is no impact to the longest path. Sometimes it means helping our clients model the disruption to their work or the increased cost of resequencing their work. Sometimes it means telling the owner that the contractor is entitled to the time extension request. But sometimes, our clients demand we support their position, regardless of our analysis and advice against pursuing time for the change order or delay. Do most of your clients understand how the inserted “fragnet” may or may not impact the completion date? Do they understand how the near critical paths can be impacted to become the longest path and even push the completion date? Do you often feel pressured to support your client’s preconceived belief, rather than what the analysis shows? If so, how do you deal with that? What client management techniques have you developed to better manage and help your clients with their schedule impacts and change order management? Author P. EppersonPosted on June 23, 2016 Categories Schedule ManagementTags Construction Scheduling, CPM Schedule Consultant, Schedule Management, Scheduling ConsultantLeave a comment on Construction Scheduling. Time Extensions and Delays. How do we best work through these with less mature Project Teams?